Severin is one of Maine's best-known attorneys and has significant experience in legislative and regulatory issues. He is a founding partner of Preti Flaherty and directs the firm's Government Affairs practice in Augusta, ME and Washington, D.C. His practice also involves public issues, environmental projects and international trade. Severin's private practice experience as a legal generalist, along with his work in public practice, the Maine Legislature and the U.S. Congress, make him uniquely qualified as a litigator concentrating in regulatory law and project development. His comprehensive understanding of every financing and regulatory agency in Maine allows him to employ creative, nontraditional legal solutions to problems by effecting changes in law as an alternative to litigation. 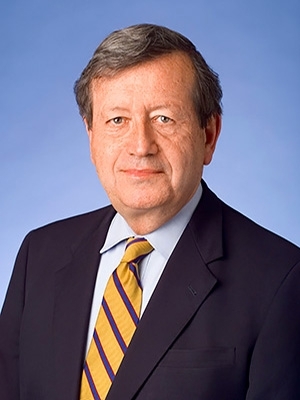 Throughout his career, Severin has been a leader in national and international organizations, giving him perspectives that transcend state boundaries. As a former director of the bipartisan American Council of Young Political Leaders, he helped promote cultural and political exchange programs among NATO countries and Eastern Europe. His work took him to Moscow, Leningrad, Riga and Tbilisi in the former Soviet Union. He also served on political leadership committees dealing with U.S.-Canadian relations, European security, the environment and technological change. Severin was born in Rumford to a distinguished family of Maine lawyers and judges. His father, Albert J. Beliveau, Sr., was a justice of the Maine Supreme Court. His grandfather, Matthew McCarthy, served as the first municipal court judge in Rumford. His uncle, William E. McCarthy, was a Superior Court judge. His brother, Albert J. Beliveau, Jr., was Oxford County Judge of Probate and is a Member of Preti Flaherty. Former director of Medical Care Development Inc.